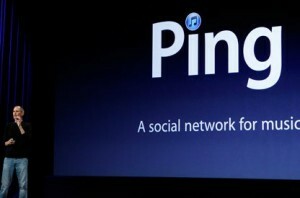 Of all the new announcements from Apple yesterday, the one that I find the most interesting is Ping. What Apple have done is typically, er, Apple! They have taken a good idea, namely personal recommendations, and integrated it seemlessly and beautifully into itunes. The bit that I find a little odd though is the focus on music in particular. Certainly music is something that people like to share, and Apple will create plenty of upsale opportunities with Ping. However, are they missing a trick by not including apps? A year after the launch of the App Store, Steve Jobs said he was surprised by the take up of the app store. Conversely itunes downloads from iphones were probably lower than Apple expected. So, if we’re looking at Ping in the mobile context perhaps the lesson here is to focus on the app side of the recommedations?